Confirmations will be made upon selection by ENYGO Applications Committee. Laparoscopy is part of the basic knowledge of a gynecologic oncologic surgeon. Laparoscopic surgery in gynecologic oncology is quickly evolving and requires a specific learning path. Moreover, although many principles of open surgery may be applied, performing laparoscopic procedures requires different skills. Thus, the ENYGO didactic-practical course aims to shorten the time of training, by learning different surgical techniques, by developing the necessary psychomotor abilities and becoming comfortable with the equipment. The main goal of this course is to provide the participants with the necessary laparoscopic knowledge and psychomotorical skills, practicing the procedures on pelvic trainers and animal models, to transfer in live surgery. Workshop will be as interactive as possible with hands-on training and live surgery, completed with questions and answers from the professors. 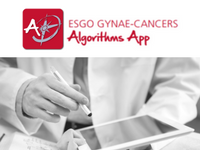 The course is primarily intended for Fellows in Gynecology Oncology. From a technical point of view, this is not a basic course for initial practitioner, thus attendees are required to be familiar with MIS in their daily practice. 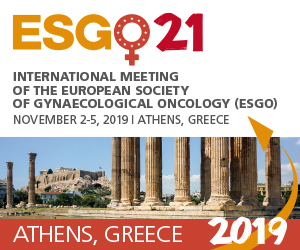 From a scientific point of view, this course will provide correct indication for MIS in gynecologic oncology; attendees are required to be familiar with ESGO guidelines. Attendance is limited to max 12 participants ENYGO members who must be fluent in English. Workshop attendance is limited to 12 participants. Only applicants who are active ESGO/ENGYO members and who have paid the course fee will be considered for participation. Paid ESGO/ENYGO membership for 2018 is a mandatory condition for being considered. Not yet an ESGO/ENYGO member? Renew or Join your ESGO/ENGYO membership. Only applications received through the registration system will be considered! All applications will be evaluated and 12 participants will be chosen. Only selected participants will be able to make the registration and pay. Please submit your application but do not try to register and pay now! Please note that a motivation statement, a short CV and completed form Questions for applicants are mandatory parts of the application. Confirmations will be made on upon the decision of the ENYGO Applications committee. Participants are expected to cover their own travel costs. The course fee must be paid immediately upon confirmation of attendance. If the fee is not received by October 10, 2018, the position will be offered to the next suitable applicant. The reservation can only be confirmed upon receipt of payment. In case of cancellation, the fee will be refunded, provided a written request is received by October 20, 2018. No refund can be made if the notice of cancellation is received after this date nor in the case of a no-show. Michael Halaska, 3rd Medical Faculty, Charles University in Prague and Faculty Hospital Kralovske Vinohrady, Czech Republic.